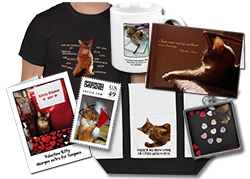 You are here: Home / Diary / Help Your Favorite Shelter With This Giveaway! Help Your Favorite Shelter With This Giveaway! I am about to announce what will probably be my favorite giveaway of the whole year! Remember my human’s trip to the Purina campus in St. Louis? 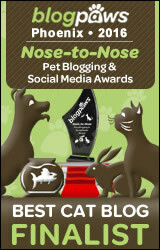 They worked 110% to let her and the other humans there know how much they appreciate pet bloggers! She got lots of cool stuff but one of the most awesome is something I have not told you about yet! It is very small, but very valuable! To enter the giveaway, all you have to do is say in the comments below which shelter or rescue you would like to have the coupons. The only qualification is it has to be a 501(c)3 shelter in the United States, and they have to accept coupons as gifts or donations (and I think the vast majority of them do!). Then say you commented in the Rafflecopter widget below. (If you are viewing this blog post on another website or by email and canâ€™t see the Rafflecopter widget, click here to go to the original blog post to comment and enter!) You can get more chances for your shelter by liking my Facebook page, following me on Twitter and Tweeting about the giveaway! You have until Monday night, October 29, at midnight Eastern Time to enter, and the winner will be announced on Tuesday, October 30! The winning shelter will win 14 coupons — up to a $672 value! You may have noticed there is one coupon left over! That is because I am saving it for one lucky newsletter subscriber! My monthly newsletter goes out this morning (the 26th), and it is highlights of the past month (in case you missed anything good), a short essay from me… and sometimes I have giveaways! Usually it is not this big a value, but I wanted to give you a head’s up ’cause this month is so special. You can subscribe where it says “Get Sparkle’s Monthly Newsletter” above on the right, under the BlogHer ad. If you miss this month’s giveaway, I will be having a pretty nice one next month too! I’d like to nominate the rescue that I work for, PAAW in Warren, MI. We are always looking for help in any form. This litter will come in very handy for all of the kitties in our store adoption center and in foster. I nominate Stay-a-while Cat Shelter. It is in North Royalton, OH and is a cage free shelter. Yes, the cats have a house of their own. It is where I found Thunder and his predessor, Trickee. I nominate Duncan’s Place, a cat sanctuary (www.duncansplace.org). That’s the shelter my fursibs came from. Whoa! I nominate A Call 4 Paws. Linda can always use help feeing 80 kitties in the sanctuary. Of course, the sanctuary is no-kill.